It's a cold snap! 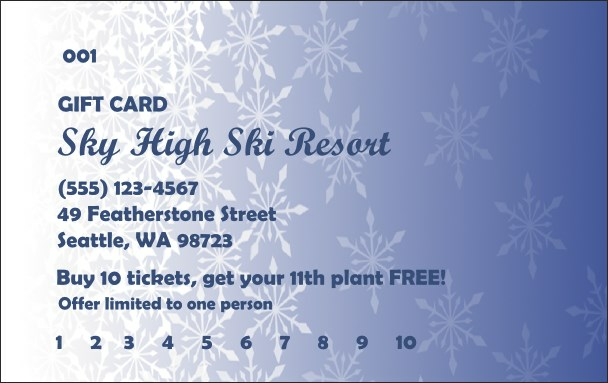 Coast by on winter wonder with the Winter Blizzard Gift Card in blue and white with a lovely snowflake design. Evoke the enchantment of falling snow while you help your customers help you. Sell Gift Cards and bring in new customers all year round. Fill in the easy template below and we'll send them your way! Chill in the air? Warm up with hot designs from TicketPrinting.com.